It all started with the Allen Schezar cel above. For $50, I acquired an actual piece of one of my all-time favorite animations, Tenkuu no Escaflowne. Little did I know that it would spawn a collecting addiction that would last for years. The only thing that would stop me, in the end, was the animation industry’s ceasing of using cels to create animation altogether. You could say I was broken-hearted when animation switched over to full CG, but in the long run I was a lot better off. Cel collecting is a habit that really broke the bank, but if I could go back and do it all over again, I would. Nothing quite compared to the high of acquiring an actual piece of your favorite moment of your favorite show while knowing it was one of a kind. I also made a lot of good friends while collecting cels who I still keep in contact with to this day. Lets consider this post my ode to the dying art of collecting animation cels. 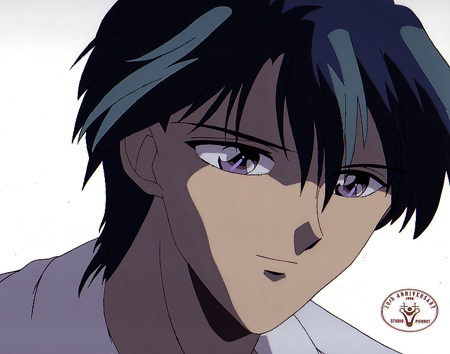 My favorite anime at the time was far and away “Fushigi Yuugi”. It was also the show from which I focused my cel collecting. 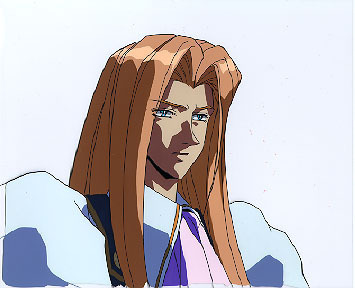 The same year that I got the Allen Schezar cel, I found this Tamahome cel online and asked my dad to get it for me for Christmas. I eagerly awaited the holiday and when it finally came, Tamahome was mine! I couldn’t have been happier. After that, I began to scour the web for sites that sold cels and also discovered a cel forum where I would eventually come to make a lot of good friends. I built up a very respectable collection of FY cels. There’s no doubt that the pinnacle of my cel-collecting “career” was aquiring this opening sequence cel of Tamahome and Miaka. For a cel collector, owning part of the most re-used sequence of your favorite show – the opening – is a special thing, indeed. Many dollars, cels and years later, one of my final purchases was this shot of Nuriko. While far from ideal, it is possibly my personal favorite cel for a variety of reasons. 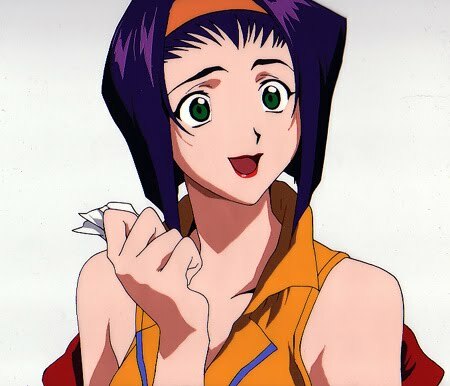 One of them perhaps being that Nuriko was far and away the most popular, rare, and expensive character to collect cels of. The harder it became for me to get ahold of a Nuriko cel, the more I wanted one. At the time, it became an obsession. I ended up landing a few “better” shots of Nuriko, but nothing topped this one for me. Nuriko looked his best by far in this episode, and he is wearing my favorite of his costumes, which I would later sew from scratch for cosplay. This cel has so much sentimental value to me, that if I could, I would purchase a better cel from the sequence if I had the chance, even though I no longer collect cels. Another image from this sequence belongs to my good friend Jody of Mind Eclipse Cels, so check out her gallery. 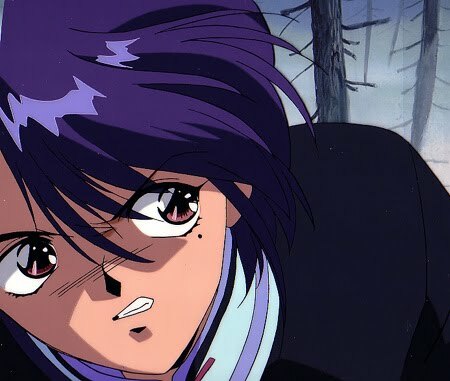 Fushigi Yuugi certainly was not the only show I collected cels from, but it was the most special to me. Over the years I acquired some stunning pieces of the show and even now I would have a horribly difficult time selling them if I was strapped for cash. The fact that they are one of a kind is perhaps what made collecting cels so incredibly alluring to me and to many others. 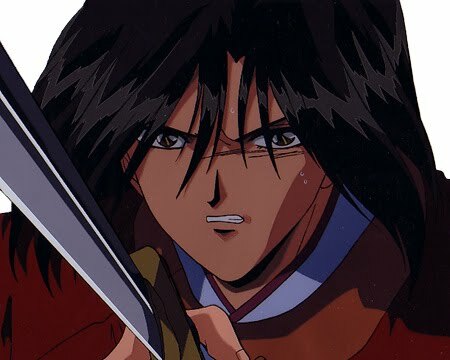 Over the years I was fortunate enough to get several cels autographed by Watase Yuu and even one by Midorikawa Hikaru, making them even more special and unique. While I am content no longer being able to collect cels, I certainly don’t regret the time that I did and I still greatly treasure my collection. I am thankful for the friends I made who shared my hobby (most especially Ryouko, LadyBrick and Trebuchet) and the help they gave me in finding the scenes I loved. As an avid fan of animation, I can honestly say that it was an incredibly exciting and fulfilling hobby, and I will always look back upon it with happiness in my heart. While it is unfortunate that cels are no longer used in creating animation, it only makes the ones that still exist that much more extraordinary.